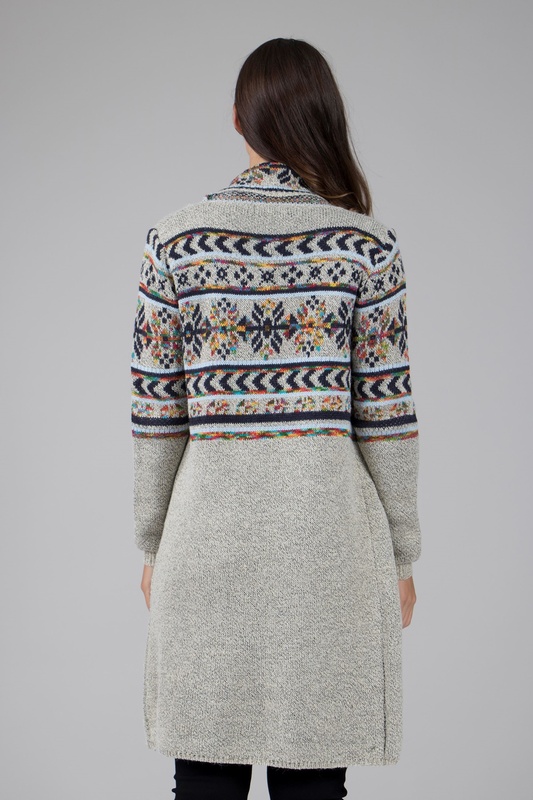 Make a statement in this chunky knit cardigan in the colder months. It has a gorgeous, colourful print and comes in a longer length. Wear during the day over a tee and jeans.